Often the first time people experience representing in a constellation, they are moved and amazed by how so much specific and detailed information about the client is available to us; something secret that was buried in a family comes to the surface; a long-lost grandparent holds information that seems relevant to the here and now world of the client’s. Time and time again it's been my experience that the human condition is not as personal and unique as we might think. Like the iceberg that appears like a lone island floating in the sea but is in fact connected deep under the sea to its neighbour, or the shaman who stands in front of the village and says “I am river”, and she speaks on behalf of the spirit of river. We often witness a representative standing in the space of someone's family member and their body language, voice and phraseology mirror exactly that person. For me one of the huge benefits of working with whole-systems with constellations is that whilst it allows the client to glimpse deeply into their personal and family systems, at the same time it allows representatives to resonate with issues that touch their own lives. I am not going to attempt to explain how this phenomenon happens, except to say that it is my belief that we are energetic as well as physical beings. In the realms of our energetic relationships we have the capacity to feel into the human condition and into each other's worlds. I like Rupert Sheldrake’s explanation of Morphic Resonance, and there are many other explanations, for example the role of archetypes in the human psyche. I was taught facilitation of constellations at one point by Albrecht Marr who said to our group with a loving smile: “don't think you're so special, there are only so many ways to suffer as a human being!”. Ultimately what touches me in this work is that in stepping into another's world in a constellation, we too are touched by the human condition: what is mine is also yours. And what is wonderful is that this doesn't detract from the incredible diversity and uniqueness of each individual story, which I honour. For me it re-balances a predominantly Western perspective that over-emphasises the individual over the collective. So if you're feeling a little shy about trying out constellations in a group workshop setting, I encourage you to reflect on the possibility that your personal story at some level will be likely to resonate for the people that will ‘represent’ for you. Somewhere in the unconscious depths of our humanity, like icebergs floating in the sea, we commune and understand. It's early Spring, the bluebells and anemones are out at Hazel Hill Wood. This blog is to give you a feel for the workshops that I regularly run at the wood. I want to also share a little about the name: “Wellspring of Wellbeing”, and how that relates to my constellation work and approach. I’m hoping to provide some useful background to constellations, especially if you’re new to this, and I’ll also share the broad format for the workshops so you’ll know what to expect when you come along. A mini biog for Marcos Frangos: At work I have two main roles: I manage the charity that owns the magical 70-acre educational woodland called Hazel Hill Wood with eco-buildings where we run a variety of workshops. 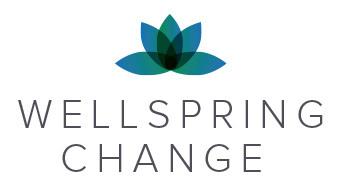 I also run my own company called Wellspring Change that provides consultancy to individuals and organisations around wellbeing and organisational change. I frequently weave constellations as a tool into all my work. Some personal information: I’m of Greek heritage, and I am a UK citizen. Both my parents are Greek, from the Aegean island of Chios. I was born and educated in the UK, and have lived in Winchester (South of England) for over 15 years. I started off my professional life as a trainee architect, I then studied and worked as a person-centred counsellor and subsequently enjoyed a career in inclusion of disabled people into buildings. I have a long-held interest in people and organisations and what makes them tick, how we make meaning out of the challenges and opportunities before us. A few years ago I did a formal two-year training course to become a facilitator of constellations in Oxford, with ‘Core Constellations, Theory & Practice’. This provided exposure to many different approaches to constellations. I have been privileged to learn from very experienced and gifted facilitators: Albrecht Marr, Vivian Broughton, Barbara Morgan, Jan Jacob Stam and many others. I continue to do my regular personal and professional supervision work with a constellations peer group in Oxford, and I am also in 1-1 psychotherapy. So, why “Wellspring of Wellbeing?” The name “Wellspring of wellbeing” is what I use for my constellation workshops and is inspired by the Greek “Zoothoxou Pigi”. It literally means the Wellspring of Life. Interestingly this name is often synonymous with the Virgin Mary in the Greek Orthodox tradition. I resonate with this name because I believe each of us can access our own wellspring of wellbeing. It’s that part of us that deeply knows, that deeply understands what we seek, that recognises what we need to learn through our experience to become more fully present, more fully expressed and more vital as a human being. My personal image when I think of a wellspring of wellbeing is an ever-present flow of water that springs forth directly out of the earth - like a bubbling brook through our inner landscape - always in flux and flow. The concept of ‘flow’ is central to me in life and in constellations. When you’re in flow, you probably recognise that experience of things falling into place with ease, of serendipity and meeting just the right person at the right time. In this state, we’re open to experience and to learning and life feels exciting, limitless and creative. Conversely when we’re out of flow, or feel stuck, there are often inner reasons why we’ve closed our connection to our inner wellspring – out of fear, self-limiting beliefs, past traumas etc. All of these can lead us to create ‘stories’ that we tell ourselves. In one sense, these stories are helpful, they help us to survive, often through very challenging life circumstances – perhaps they even kept us alive. I tread with deepest respect for these stories – they have a purpose. But, they can limit us too. In a future blog I’ll share a story about how wild elephants are tamed that relates to this theme. So what are family constellations and how can they help? This approach is borne out of the work of Bert Hellinger and is often referred to as “Family Constellations”. Bert developed this approach over 30 years ago working with families by looking ‘systemically’ at the whole family system to understand the challenges facing the individual. Within his work as a family therapist he also integrated many years of being a missionary priest in Africa working with indigenous tribes who taught him about shamanic traditions that consciously include working with the ancestors. No person is an island. We are all part of multiple systems to which we belong, to our birth family, our national heritage, our ancestors, our organisational systems at work, the professions we belong to, our religion, our belief systems and so on. The systems that we belong to can be complex: consciously or at a sub-conscious level we are in a continual dance between ‘belonging’ to the system, which is a very fundamental need, and the impulse to ‘individuate’ and be a fully expressed human being. The tension arises because if we are fully ourselves, the chances are that we will at some point challenge the systems we belong to and their norms. Systems have a life and organising mind of their own, they too like individuals, are in continual flux trying to reach as balanced a position as possible given continually changing circumstances. Systems too will try and organise themselves to achieve as broad an integration of all the aspects within them, but they also exclude that which threatens their coherence. Constellations are a wonderful tool to help reveal sometimes hidden dynamics and forces that are influencing the individual in the dance with the system(s) in which they’re operating. How is a constellation set up in a workshop? A constellation is usually focused around an individual that I normally call the ‘client’. Let’s imagine you’re the client. We’d start by sitting side by side in the initial part of the process and my role is to help you clarify your inner question. For example it might be a question about next steps in your career, or perhaps a more existential question like: ‘I want to feel more alive’ or ‘I don’t understand why I am so unhappy’. Through a process of deep listening and enquiry, I try and help you get as clear as you can about what you’re seeking, so you can formulate your inner question into a succinct sentence that resonates deeply for you. This is an important part of the exploration. Sometimes we find that your first presenting question actually has its roots in deeper sub-questions, which Bert Hellinger called ‘movement of the soul’. Once your intention is clear, we establish who are the key players or the key aspects in your question. It’s not only people that are represented in a constellation, you can represent anything in a constellation, for example someone might represent a country or a nation. Imagine we’re co-creating a movie, and you’re the Director and it is you who decides which parts are needed to be represented in the first scene to place your inner question in the right context. Other parts or characters might of course come in as representatives in later scenes, but I like to start a constellation keeping things simple. Once we’ve agreed who needs to be in the constellation, I’ll invite you to choose fellow participants to ‘represent’ the different aspects of your inner question. One by one you choose and then physically place each individual representative somewhere in the room where we are working. We then stand back from the constellation and observe the movements that follow for the representatives. It’s like a 3 dimensional sculpture of your question, with human beings representing the different forces and dynamics. The role of each representative is to embody the representation as fully and authentically as they can. As a representative you’re not following a script like you would as an actor. You’re invited to express and embody what shows up in you. I often say to representatives ‘use ALL your ways of knowing’ and follow your inner movements and promptings as honestly as you can – it’s not about winning the Oscars for best dramatic performance. There is no special training required to be a representative, I believe we all have the capacity to step into another person’s life situation and feel into what’s happening. Sometimes there is dialogue between representatives, and other times constellations can be expressed powerfully simply through the physical movements and body language of representatives. Often in the initial set-up of the constellation, I’ll also invite you to choose someone to represent yourself, so that you can witness the movements a little from the outside like an observer. More often than not, and at some point during the constellation, I’ll invite you to physically step into the constellation yourself and experience it first-hand. Sometimes simply witnessing the dynamics within your inner question is a powerful first step. My role is to keep returning to your inner question and to what would be of service to you. I try to be sensitive to the system so that it can reveal its own wisdom about what’s required to reach a better and healthier flow. Sometimes I might offer a healing sentence between representatives, sometimes suggesting an action, or I’ll invite representatives to truly see things ‘as they are’, rather than ‘how we’d like them to be’. The workshop format: all workshops are residential and start at 6.00pm and finish at 4.30pm the following day. Costs: £135 for a working place (i.e. you have your own constellation), £105 for a representative place, £75 concessions (limited number available). Prices include delicious vegetarian meals and accommodation in shared sleeping lofts in Hazel Hill’s beautiful off-grid eco-buildings. If you prefer a private room, an additional £20-£30 applies. Generally speaking in a residential workshop we typically have time for 4-5 constellations. Not all participants will therefore have their own constellation, in other words to be the client. However it’s likely that most people will have the opportunity of being a representative in someone else’s constellation if they’d like to do so. The experience of being a representative is often very profound and can have a really positive impact on your life. I’m often fascinated by who or what I’m chosen to represent, and the feelings that emerge in and through me are often just what I need to help my own life’s questions. It’s a mysterious process! What do to if you’d like to come on a workshop? Check out the upcoming ‘Landscapes of Change’ - Retreat Series at Hazel Hill Wood, that I co-facilitate with Kirstin Irving from ChangeTools. simply get in touch to discuss the possibility of organising a workshop with Marcos.